If you’re ready to leave, consider this graceful exit strategy. Quitting your job can be traumatic, especially when you’re conflicted about the decision. And who’s to say you’ll be happier somewhere else? But if you feel yourself moving toward the door, take these quitting guidelines into consideration. 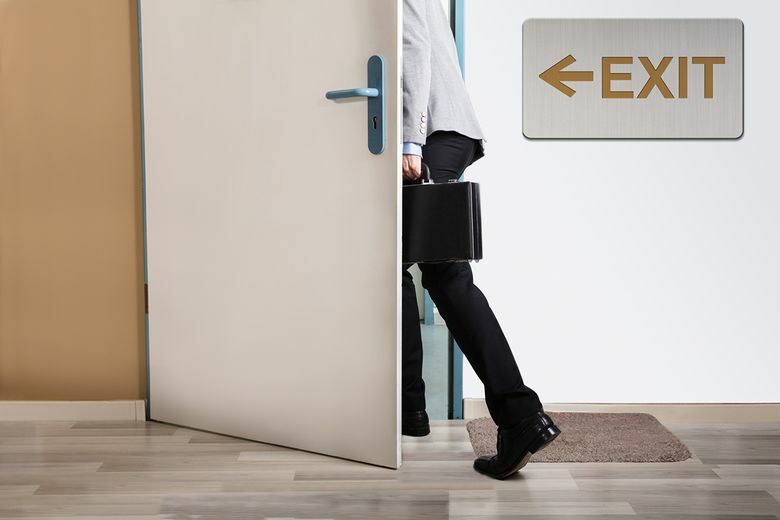 Lauren Milligan, career advancement coach at Resumayday in Warrenville, Illinois, said that employees’ complaints about their jobs usually include a “but” that is keeping them from leaving. When the “but” exits the equation, it may be time to move on. Still, frustrated employees should consider whether they are running toward a better opportunity or just away from a situation they don’t like, Milligan said. If it’s the latter, see if you can change the situation before jumping ship, she said. And, barring health issues, don’t quit until the ink is dry on a new job offer or you have a financial backup plan, she said. The job search can begin before you know you’re ready. Update your LinkedIn profile and privately put the word out to people you trust to let them know you are looking, Milligan said. Research the LinkedIn profiles of people in similar roles, or in the job you aspire to, to determine what credentials make them marketable. Networking is critical because far more people get jobs through personal connections than postings on job boards. Robbie Abed, author of “Fire Me I Beg You,” makes it a point to have 250 coffee meetings a year, with former colleagues or with hiring managers at companies he is interested in joining, so that he has connections at the ready if opportunities arise. If you’re not a natural, take baby steps: Send messages to three people you know, Milligan said. At an in-person networking event, find the leader of the group, admit your discomfort with schmoozing and ask to be introduced to people, she said. There is never a good time for a tough conversation, so tell your direct manager you’d like to meet for a few minutes — don’t drag it out with a cryptic calendar invite — and get to the point, Abed said. Stay positive, Milligan said. Highlight three things you learned or are grateful for, and thank them for the opportunity. This is not the time to complain about your pay. That’s true even in the exit interview, which Milligan calls a trap. Any constructive criticism you had should have been delivered before you decided to bail, and one wrong word as you are out the door could destroy goodwill. Deliver the news privately to colleagues you want to be sure to keep in your corner in the future, Abed said. Let management handle the more public messaging around your departure. As a last act, send a thank-you email — even if you hated the job — and call out individuals who were important to you, Abed said. After you’re gone, meet those old colleagues for coffee because “they all want to leave too,” he said.